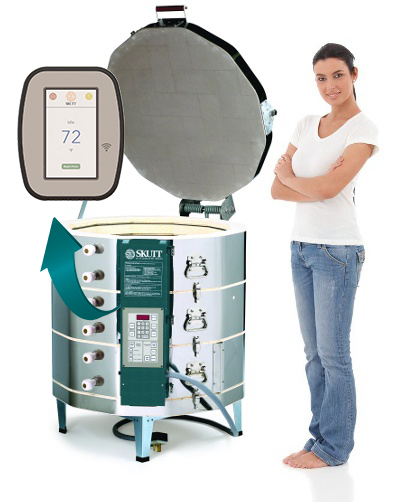 The GM1227-3 is a side fired kiln, which means you can fuse or slump on multiple levels. Depending on your projects, you can fire up to 4 layers of similar projects which basically quadruples your firing capacity. Zone Control is standard on this model so temperatures stay uniform top to bottom. Like Your Smartphone the new GMT controller navigates with just a touch of a finger and allows us to guide you through programming with full sentences, helpful icons, and dynamic navigation. Built-in WiFi makes it possible to download any software feature upgrades for free so it is like having a new Kiln Controller for the life of the kiln. A Free App works in conjunction with the Wifi and allows you to monitor your kilns temperature and status from your smartphone.Think how comforting it will be not to get out of bed to be sure your kiln shutoff as expected. The Hinged Controller allows you to move the controller up and down to an angle that is comfortable for you to program. No more getting on your hands and knees. After programming you can push it back down so it is out of your way and easy to view from across the room. It has the Same Functions you have come to know and love from the standard GlassMaster Controller Plus More! Glass Fire Mode – Allows you to easily program the kiln based on the size of the project and what you want to do with the glass. We have added COE as one of the questions it asks you so we can write programs that are specific to 96 COE, 90 COE, and Bottle Glass. We have also added Casting and Textural Fuse to the list of project types. Ramp/Hold Programming Mode – Allows you to easily input your own firing programs. Now you can Name Your Programs and store them in My Programs for easy access. You can even Copy Programs you like, but want to change slightly to speed up the programming process. There are exciting New Functions that are on this controller as well. Guided Start – This programming Mode is meant for beginners. It guides you through every step of the programming process with Helpful Messages to make things crystal clear and give you confidence you have done everything correctly before you press Start. Program Library – We have added a program library with helpful programs for unique processes like Slumping Bottles, Melting Glass in a Crucible Kiln, and Annealing Borosilicate Glass. Help Screens – Nearly every page has a Help Button that will give you detailed information about the screen you are currently viewing. It is like having the manual right on the controller! More Detailed Diagnostics – We put in place more detailed diagnostic tools which make it faster to figure out what may be going on with your kiln. And, because your kiln is connected to the internet our technicians can view the data right from their desk. Graphing – When you press Start the controller will display a Graph of the firing so you can follow it along as the kiln goes through the program. Logging – The controller actually stores the information from your last 10 firings which can be downloaded to an Excel Spreadsheet. Upgrading to KilnLink – Adding KilnLink to your kiln just got easier and more affordable. The built-in WiFi eliminates the need for expensive hardware so now all you need to do is pay a minimal monthly data storage and development fee. 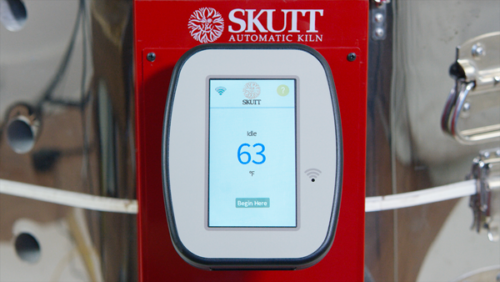 Skutt is one of the few brands that installs a Current Sensor in every GlassMaster Kiln. This allows you to read the Amperage of each section of the kiln as well as the Voltage and Voltage Under Load. Now with the touch of a few buttons you can give those readings over the phone to your kiln repair technician so they can troubleshoot the problem and make sure they have the correct parts when they come out for the repair. This Saves Time and Money. Prior to the use of these current sensors someone would have to come to your house and test the amperage and voltage inside the control box with live wires exposed. This system is Much Safer. Sectional Design is a good idea on so many levels. Imagine trying to move a kiln into the basement or through a narrow door without being able to break it down into sections. No more standing on your head in the kiln to replace those bottom elements or removing every brick in the kiln to get to the one you want to replace. Just remove the control box, unhook the buckles and place the section you want to work on on a table. We hope nothing really bad happens to your kiln … but … if it does, isn’t nice to know you can replace one bad section instead of the whole kiln? A large amount of the heat you lose in your kiln passes to through the lid and slab of your kiln. To compensate for this, Skutt directs more heat to these areas when they design the elements. The fact that we have twice the element grooves in our kilns gives us more design flexibility than some of our competitors. It also gives you more loading options since it is always recommended to have at least one element radiating between each layer of shelves. Oh and by the way, twice the grooves means you get twice the amount of element wire, which means each element doesn’t have to work as hard, which means longer element life! Whew! Thermocouple in each section of the kiln allows controller to control each section separately to even out temperature variations top to bottom. Critical when fusing on multiple shelves and annealing large blown vessels. Works in conjunction with balanced elements to ensure firing efficiency. Thin-walled inconel cover equals faster reaction time and higher accuracy. Easy and quick to replace. GM818, GM1018. and GM1227 all come with Zone Control. Since these kilns are designed to fire on multiple levels we place a thermocouple in each section to keep the temperature uniform from top to bottom. Your GM1227-3 comes standard with a Lid Lifter. Lift your lid with very little effort. Easy and safe to tension. When you are buying a kiln, you are not just buying the equipment, you are also buying the service that comes before and after the sale. From the moment we cut that first brick to the day you open the box, to the day you are ready to retire it, our reputation is on the line and we take that very seriously. Get the whole story here. *Weights listed are only approximations. Actual weight will vary due to humidity levels and varying brick density. Approximately 28 in. x 28 in. opening and 27 in. high: 9.9 cubic feet. There are no upgrades available for this kiln. Skutt Kilns should arrive fully assembled. Peep Plugs – attached to the kiln stand, enough to fill each peephole on your particular model. All Skutt products, with the exception of parts, need to be purchased through an Authorized Skutt Distributor. 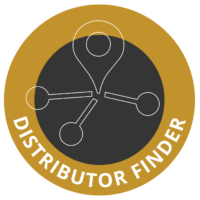 To locate a Distributor just click on the Distributor Finder icon below. 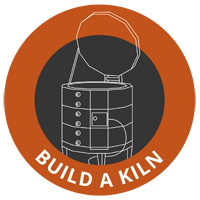 If you are looking to purchase a kiln, you may want to use the Build A Kiln tool first so you are absolutely sure you are ordering the correct kiln with all of the accessories and upgrades you want. 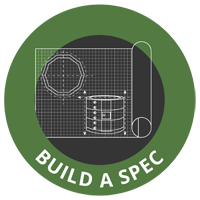 If you are an Architect or contractor who is looking to Specify a particular model for future purchase, use the Build A Spec tool to generate a Specification Sheet.